Amaco No. 27 White Sculpture Raku Clay is made from finely ground white clays that are combined with medium mesh buff grog to increase porosity and reduce cracking, shrinking, and warping. Recommended for raku, this de-aired moist clay can also be used for hand-building and throwing larger pieces without fear of slumping or cracking. Amaco No. 27 has a wide firing range, from Cone 05–5 (1911deg;F–2205°F). Bisque fire to Cone 04 (1971°F, 1077°C). The recommended glaze firing is Cone 05 (1911°F). At Cone 5, the bisque is white with some black specks, and the shrinkage is 9%, with 10% absorption. At Cone 10, the ware is light buff with very few specks, with a shrinkage of 8.4% and absorption of 1.7%. 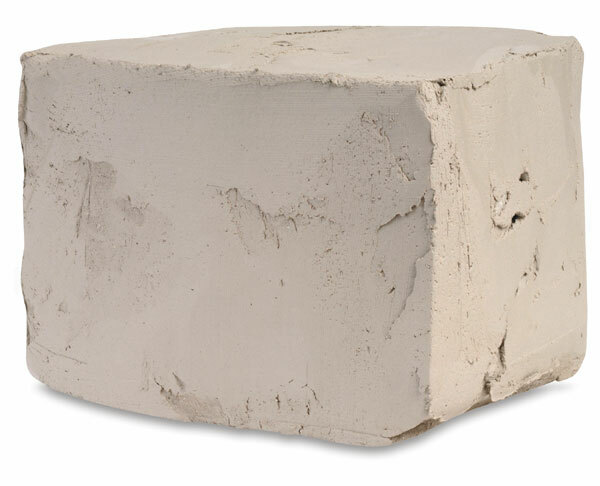 A 50 lb carton consists of two 25 lb bricks, each in a poly storage bag, so any amount can be used as required and the rest stored for future use. Note — This clay is AP non-toxic when moist.